Posted by Kearsten Chapman on January 25, 2018 at 6:03 PM. Filed under Smart Home, News, CES . 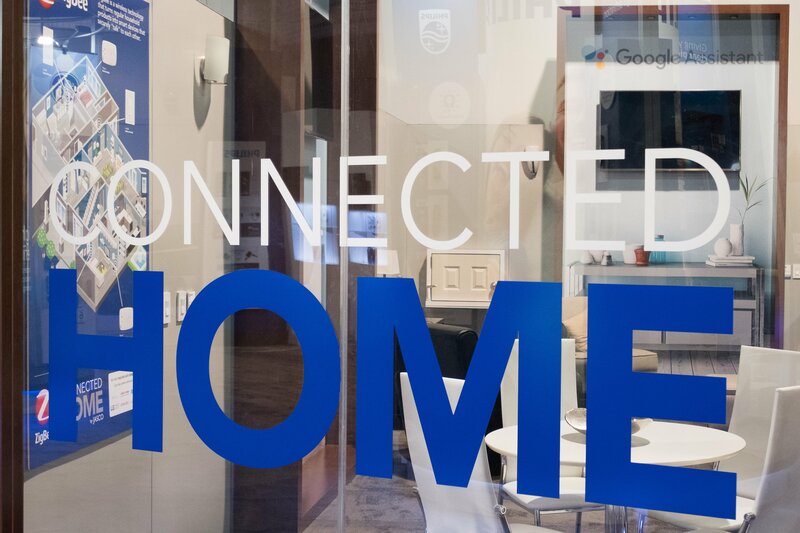 The smart and connected home proved to be a hot topic at the show again this year, with trending topics around new voice-control integrations, bigger TVs, smarter appliances, wireless security and more. 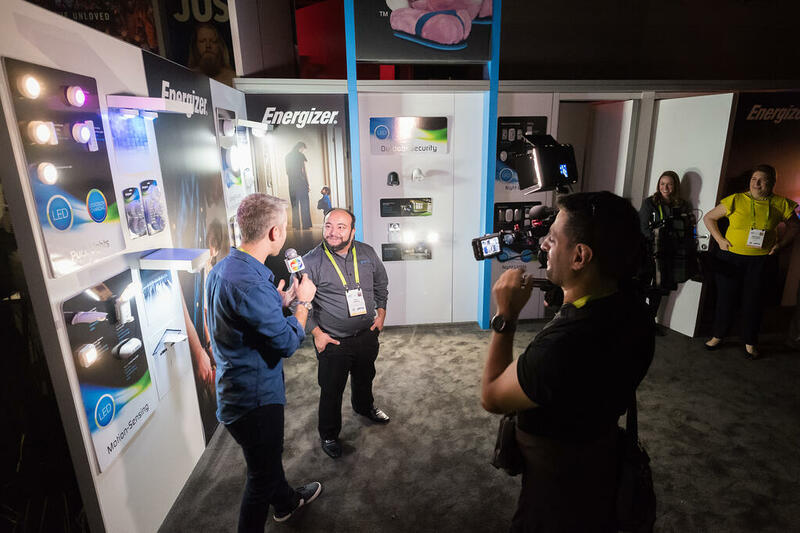 Jasco joined the conversation with recognition in TechHive around its GE-branded smart home products and new partnerships between Z-Wave and Google Assistant, and ZigBee and Amazon Echo Plus. 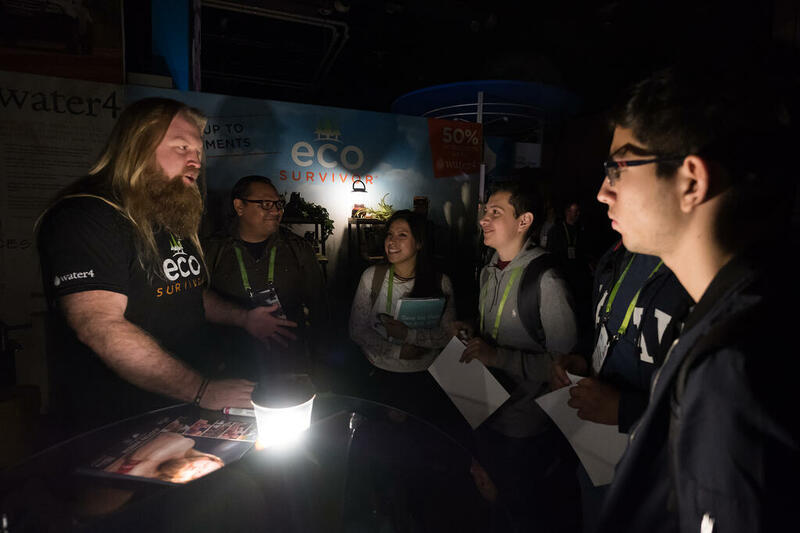 Not only were we filming live on Twitter the moment the #CESBLACKOUT happened, but our EcoSurvivor and Energizer products lit up the Las Vegas Convention Center, attracting some press and national attention to the booth (and brand) as well. We also announced the availability of our rugged outdoor EcoSurvivor product line with 50 percent of net proceeds benefiting the global water crisis through our non-profit partner, Water4. 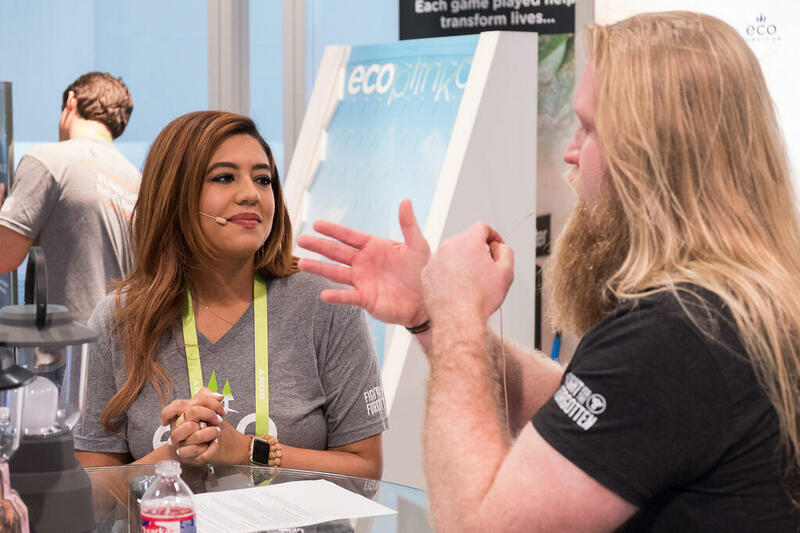 Brand partner and MMA fighter, Justin Wren, met with booth visitors, took pictures, signed autographs and explained his personal experience and support for Water4 and its mission to see the global water crisis eradicated in this lifetime. 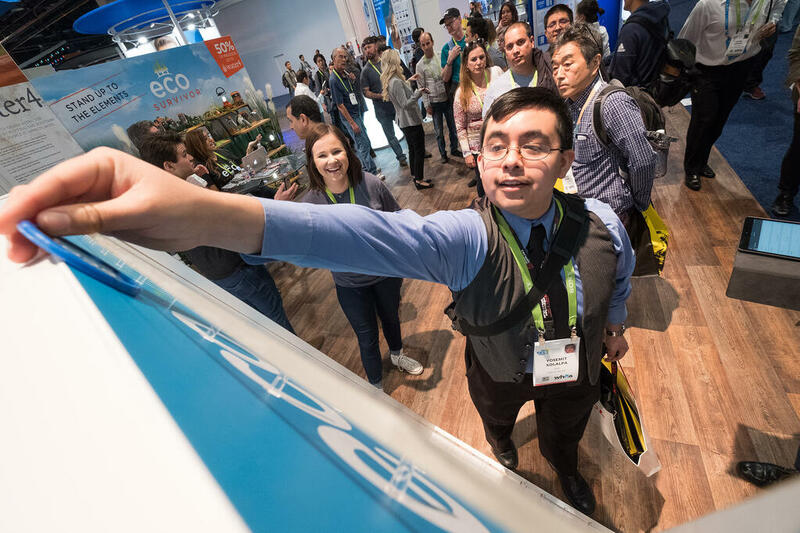 We had over 2,168 people stop by our booth to play ecoPLINKO, donate to Water4, win some cool EcoSurvivor gear, and share the message on social media. 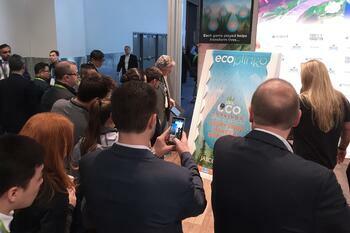 Jasco donated an additional $1 for every social media post on Twitter and Instagram using the #ecoPLINKO hashtag, raising more than $16,000 in just four days! Definitely a success in our book. Be sure to check back to see what the rest of 2018 has in store for the Jasco team! As the Digital Marketing Manager, Kearsten leads Jasco's online marketing and communications activities involving promotional planning and strategy, public relations, SEM/SEO, social media advertising and measuring audience insights. In her free time, she enjoys spending time with friends and family, traveling and shamelessly spoiling her two dogs. Kearsten holds a MBA and BA in Journalism with an emphasis in Advertising and Business from the University of Oklahoma.